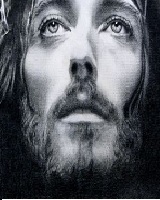 Jesus Christ c. 4 BC AD 30-33 Judean Joseph Mary His compassion, he healed people out of compassion. He wept over the city of Jerusalem with compassion. Over 500 people saw Jesus in His resurrected form as recorded in many historic narrations and chronicles. A list of popular jesus christ quotes are given below.